Ex-Utopia keyboardist and synth wunderkind Powell delivers his first solo disc (but his third overall) since 1980’s Air Pocket and, as one would expect, he’s absorbed a plethora of new influences during the intervening decades. Fossil Poets will undoubtedly be filed under the general heading “electronica” by most pundits and while there’s certainly a generous helping of trance, jungle, EBM and ambient put on the dinner table, the main entre is fusion-esque jazz, as evidenced by the simmering guitar/synth chops of pieces like “Test Drive” and “Too Much Rain.” However, the wholly transparent encomium to Miles Davis on “Miles per Gallon” is a bit much, though Powell does fire off some intoxicating flugelhorn lines. But Powell scores higher marks with more texturally ambient epics as “Underwater City” and “Osmosis” perhaps because the leisurely pace allows for the creation of more open-ended musical space where the synths and various electronic effects act as a kind prism through which a variety of aural moods are filtered and reflected. More up-tempo pieces like “Fallout Shelter” and “Lone Gunmen” rock fast and hard, especially considering the primary thrust of Fossil Poets is synth/loop-based music. 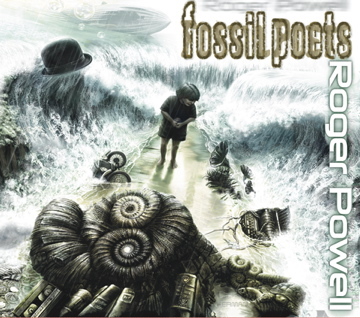 Powell never really attempts to break any new ground on Fossil Poets; there’s rather a sense of exploration and articulation of much that has glided through his transom over the past years that separate Air Pocket and this newest venture into the sonic wasteland of the 21st century.